It is 100% electric and it got full awards at the Tokyo Motor show 2011-2012. Now that is turning over a new leaf for Nissan. It is the first mass marketable electric car with over 20,000 sold since its release in 2010. This zero emissions car (though there may be big emissions in producing the electricity to run this car) runs about 100 miles on a tank of … electricity (that should read a battery load of electricity). Presently it is sold in Japan and America as there is a need for infrastructure for recharging the batteries. This is not a hot export car, as yet, though expect to see more and more of these types of models appear in Japan. 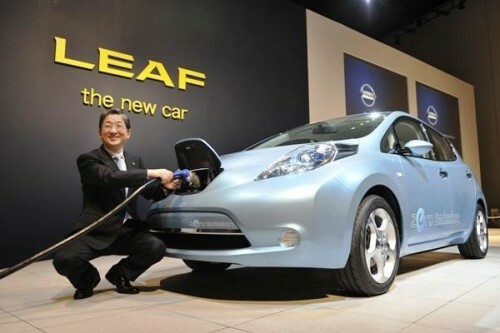 Nissan considers this experiment successful and is well down the road in producing leafs attractive sister, CLOE. When one car maker in Japan finds a bit of success expect to see the others copy. We might be seeing Toyota’s equivalent “Branch” some day soon. Provide Cars, we provide you with the largest selection of vehicles available from 115 car auctions in Japan each week.